Adelicia Script is a modern calligraphy typeface created and published by Seniors Studio, an indie type designer from Indonesia. With its smooth lines, clean and dancing baselines, classic and elegant touch, over 530 glyphs and 264 alternate characters, Adelicia can be used for various purposes such as headings, signature, logos, wedding invitation, t-shirt, letterhead, signage, lables, news, posters, badges etc. 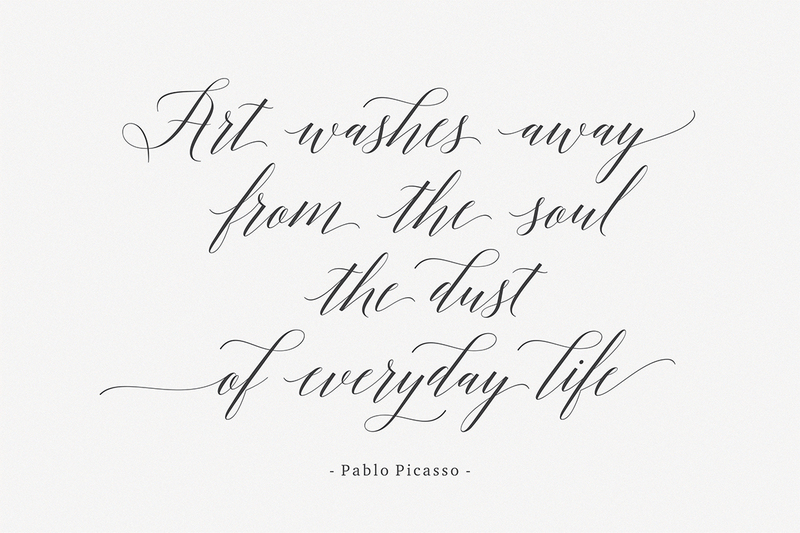 Adelicia is a complete script font and a must for every designer out there! A font description published on Friday, June 12th, 2015 in Fonts, Seniors Studio by Andrei that has 11,278 views.